The Novymed Perlei Children’s Bed is an eye catching children’s bed that features ease of use with regard to safety and functionality. The bed has an electric height adjustment system. 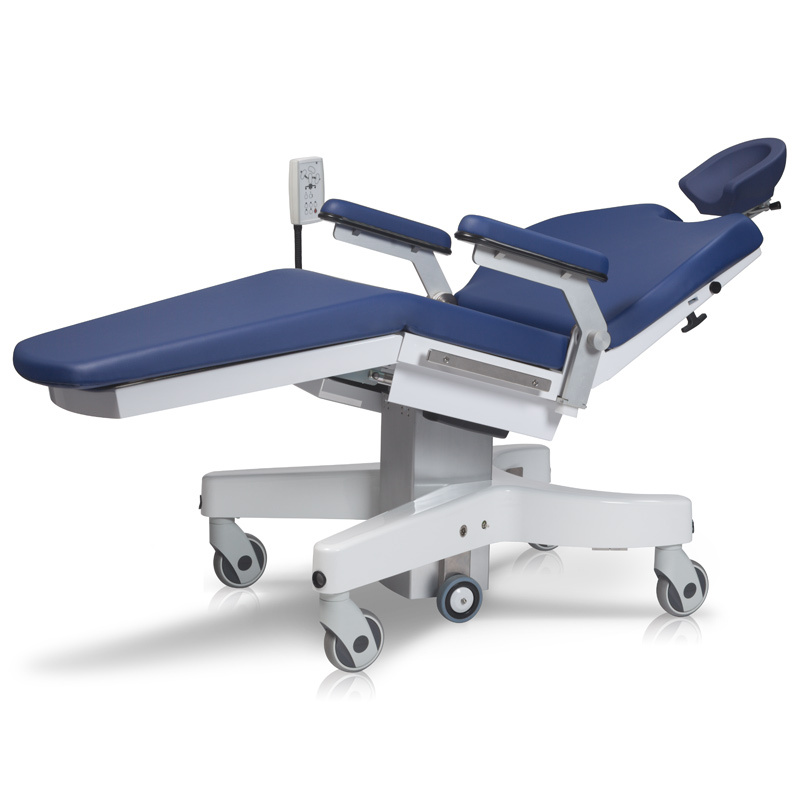 The height of the bed can be adjusted from 79 cm to a maximum of 100 cm* (31″ to 39″). 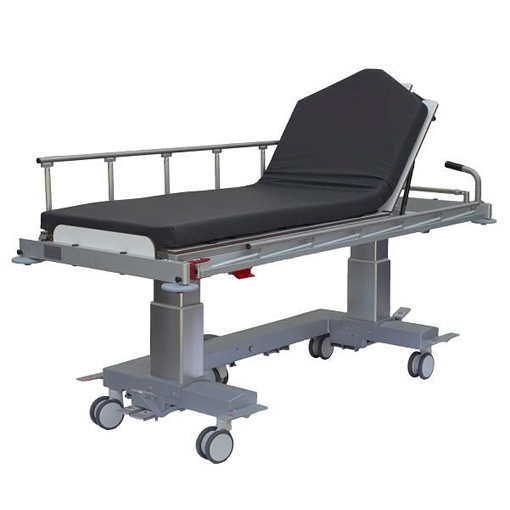 Resulting in an easily accessible bed so more time can be spent on optimal care to the child. Another advantage of the height adjustment system is it’s share in reducing back injuries of the staff from lifting children in- and out of the bed. Furthermore, the Perlei Children’s Bed is equipped with safety siderails with integrated gas springs. 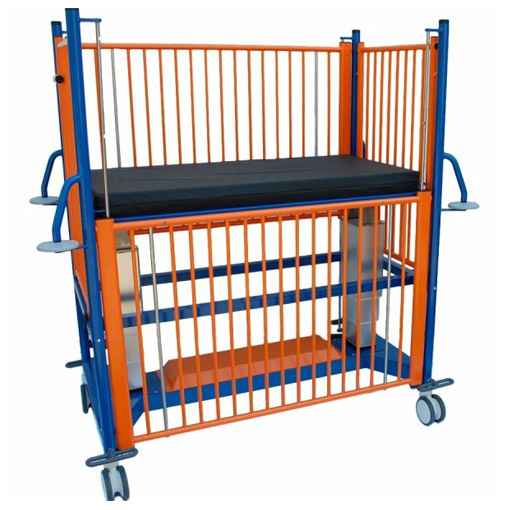 These springs facilitate the lifting and prevention of children from falling out of the bed, also minimizing the risk of the little patient’s limbs being trapped. Next to the safety siderails, it features an easy to activate Trendelenburg position and reverse Trendelenburg adjustment of max. 12º and a central braking system. The Perlei Children’s Bed is very easy to manoeuvre and available in a variety of child-friendly colors. * A lower maximum heigth is available on request.